Another year, another dental checkup. The average person is sitting in the dentist’s chair annually. However, what some people may not know is that a yearly cleaning and dental checkup may not be enough. The frequency of dentist visits necessary will differ based upon a person’s habits and health history. All it takes are regular checkups at the dental office and healthy hygiene habits to prevent some serious health issues. The frequency of dental visits needed to keep you and your mouth healthy will change throughout your lifetime depending on your habits, age, stress, and illnesses. 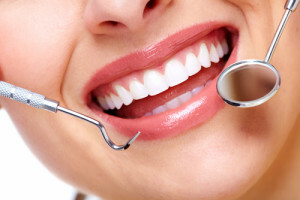 Your dentist can recommend the ideal frequency of dental visits for you. Any noticeable changes in the mouth should be checked out by a dental professional. In a dental emergency, it is important for a patient to seek immediate attention. Patients should make an appointment if they have a toothache, teeth that have fallen out, mouth pain, or a chipped tooth. A bright, beautiful smile could improve a person’s look cosmetically and also be the gateway to better health overall. If you are due for a checkup, Dr. Sands can help improve your oral hygiene. Contact his office to schedule a consultation by calling (310) 273-0111 or by filling out our online contact form. This entry was posted on Sunday, January 17th, 2016 at 8:00 am	and is filed under Dental Care, Dental News, Home, Oral Health. You can follow any responses to this entry through the RSS 2.0 feed. Both comments and pings are currently closed.